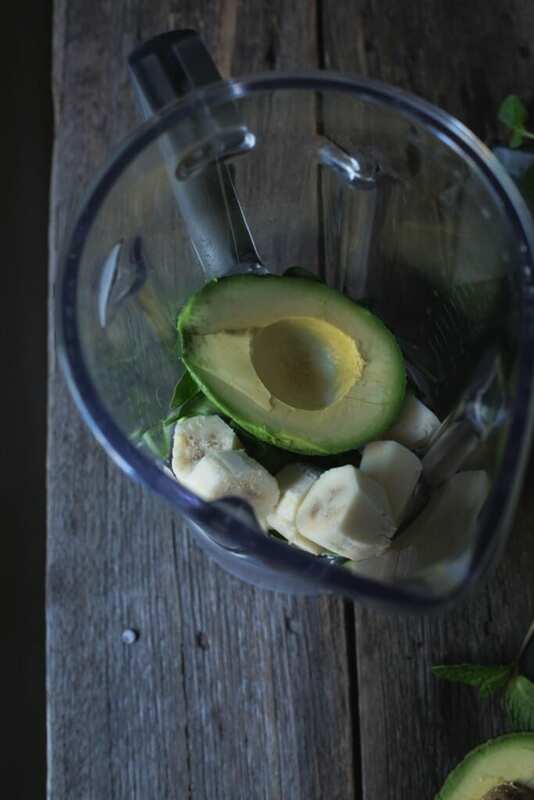 With the goodness of spinach, avocado, banana, almond butter and spirulina, this smoothie should taste…er healthy. 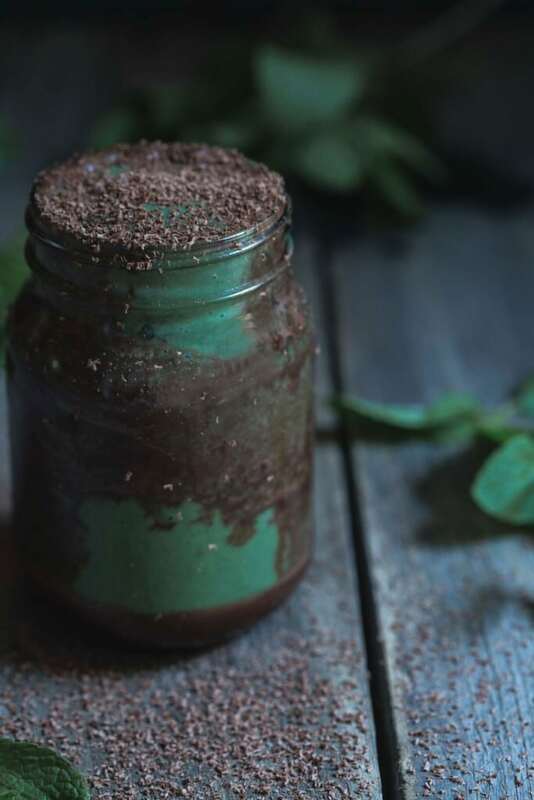 Add a dash of peppermint and a ripple of raw chocolate sauce and this Yum Powered Chocolate Mint Smoothie is not only a healthy and nutritious glass; it’s a cup full of delicious and fun flavours. The kids are going to love this. I’ve been learning new things week. Firstly, I have exercised my virtually non-existent and long ignored craftsy side and made new photography backgrounds. I don’t art. I can cook, I can photograph but stick figures are the extent of my artistic spectrum. However, with our new get-this-dang-renovation-finished-budget I needed to get creative if I wanted some new props. And can I say, I am a little proud of the outcome. Leftover cement sheets, sample pots of paint, a rendering trough – a “float” if you please, I also learned to render a wall this week – a sponge and vwa-lah, some pretty awesome antique-render looking facades. I didn’t use plaster, just the paint and a bit of imagination. Secondly, or thirdly if you count the rendering, I am learning a new sport. At forty-one, I have started karate. I am sore in places I didn’t imagine could be sore, but still I go, twice a week to learn and train. I run and am fit, but karate works muscles that haven’t seen the light of day for some time and that includes the one inside my noggin. The focus part of my brain isn’t necessarily my strongest synapses…oh, look a butterfly…. …but karate, I have learned, requires focus. My favourite thing about this class, however, is that it is a testament to everyone’s ability to try something new at any time. I am not the youngest student but I am not the oldest either. The class is a mish-mash of different cultures, ages and circumstances but we are all there to learn, to better ourselves whatever the reason. I learned this week that it is never too late. For anything. Absolutely, it would be easier to stay within my comfort zone and tread the tides, but I deserve better. So do you. 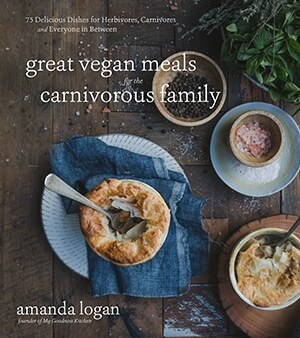 I have a hard and fast rule in the Goodness Kitchen; if it doesn’t taste good I don’t care how good it is for me, it’s not getting in to my belly. 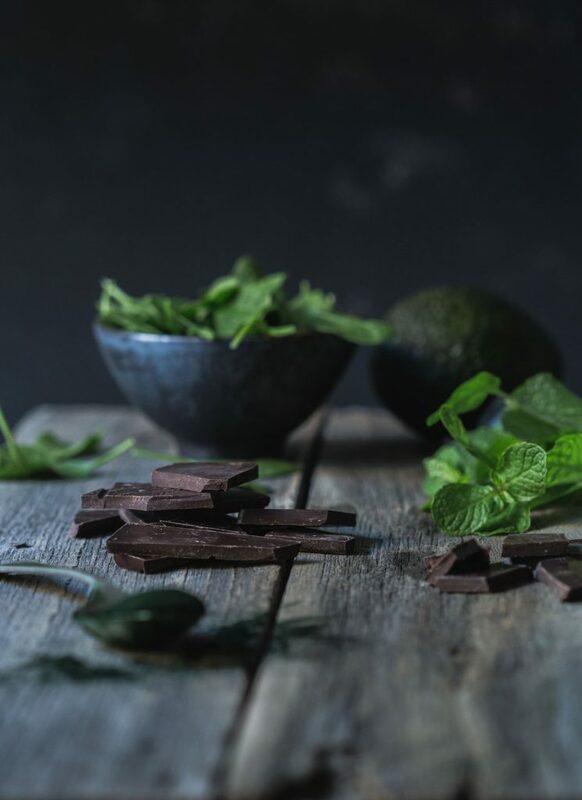 This yum powered chocolate mint smoothie is deliciously good. 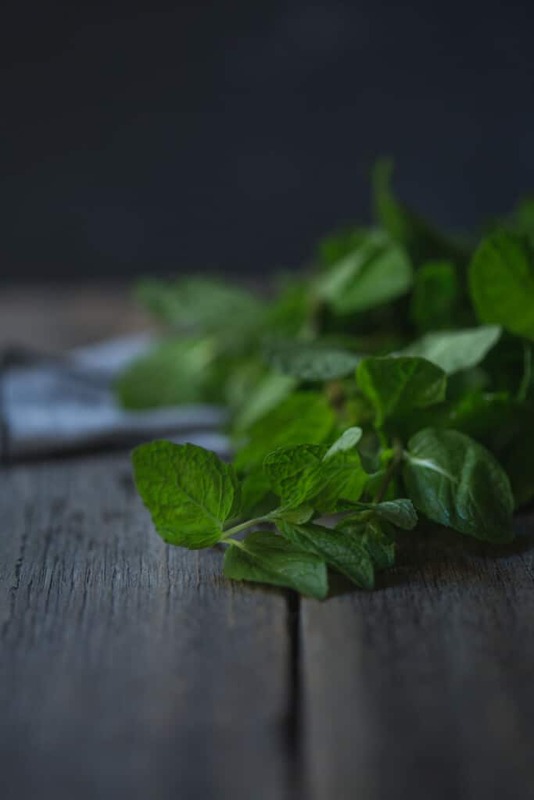 If you love the taste of mint crisps, you are going to love this. 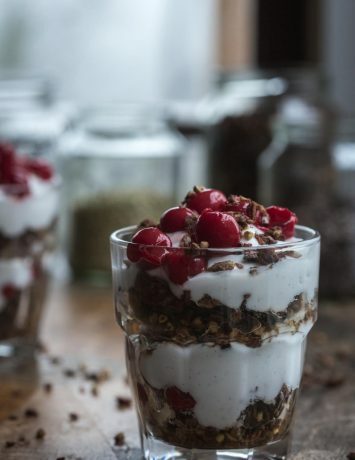 The beauty of it is that you can tweak it to your taste and still get the nutritional benefits. Don’t like mint? OK, firstly, weird, but secondly, simply omit the peppermint and spirulina and replace the almond butter with peanut butter and hello peanut butter chocolate smoothie. 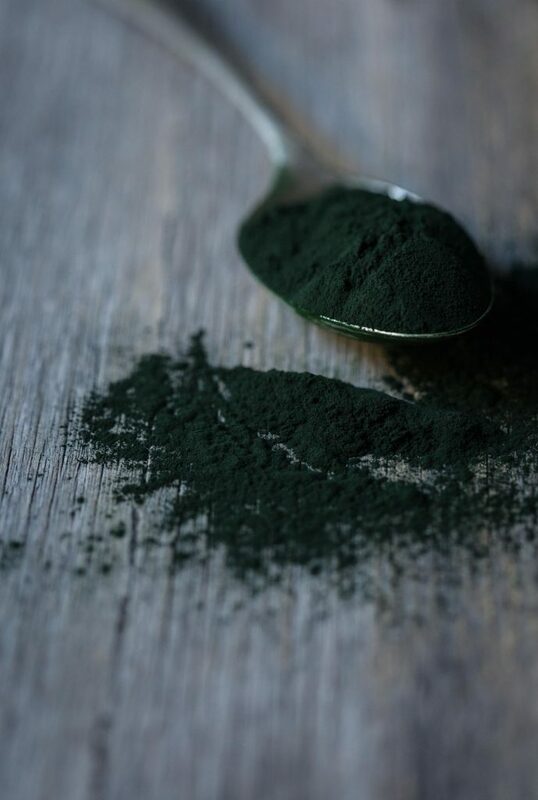 I used spirulina in this shake for its nutritional punch but also the wonderfully vibrant green it lends the smoothie, but if you don’t have it, no matter. Without it, the smoothie will simply look more like a chocolate shake and there is nothing wrong with chocolate. And chocolate that is good for you? Bonus points right there. This yum powered chocolate mint smoothie appeals to my inner child and while she’s out in the world learning new things and being all brave I figured she deserved a treat. Chocolatey, minty and healthy; well, that seems like a just reward, indeed. 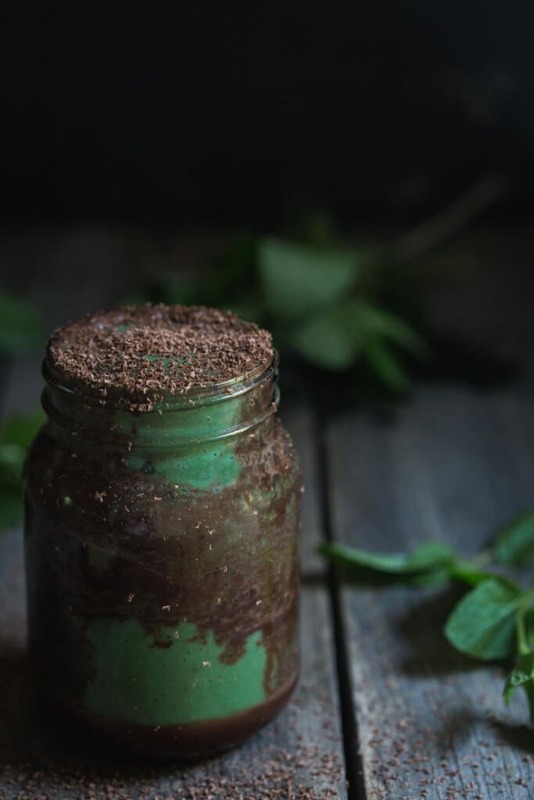 This Yum Powered Chocolate Mint Smoothie is not only a nutritious glass; it's a cup full of delicious and fun flavours. The kids are going to love this. To make the mint smoothie, combine all the ingredients in a blender and blend until smooth. Taste and add more maple syrup or peppermint if needed. To make the sauce, whisk or stir the ingredients together until there are no lumps. To serve the smoothie, pour 1/3 of the mint smoothie in to a jar or glass follow with a thin layer of the chocolate sauce. Go easy with the chocolate, it can throw out the balance. Less is more here. Repeat until the jar is full and serve. Grate dark dairy-free chocolate for an added treat. Why not? You've earned it.